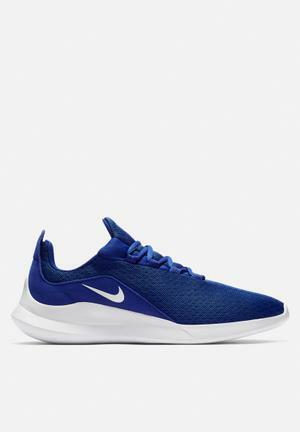 Inspired by marathon runners, the Nike Viale sneakers offers a light feel and sharp, modern look. Not forgetting speed. The all mesh upper allows the forefoot to breath, while a synthetic leather strap adds style. Studs around a notched channel in the outsole improve stability and traction and when retracting the heel tab, hidden branding is revealed.